In 2017, Peerfit set off on a mission to redefine wellness in the workplace. With years of experience working in corporate wellness, we realized that many companies’ wellness programs lacked engagement and participation: two fundamental components of a successful program. As a society, we know the importance of wellness programs and the impact of those programs on our employees. Of employees that report a higher well-being, 88% feel engaged at work, 84% are loyal to their teams, and 83% enjoy their work, according to a study by Limeade. On the flip side, of employees that report a lower well-being, 50% feel engaged at work, 54% are loyal to their teams, and 41% enjoy their work. 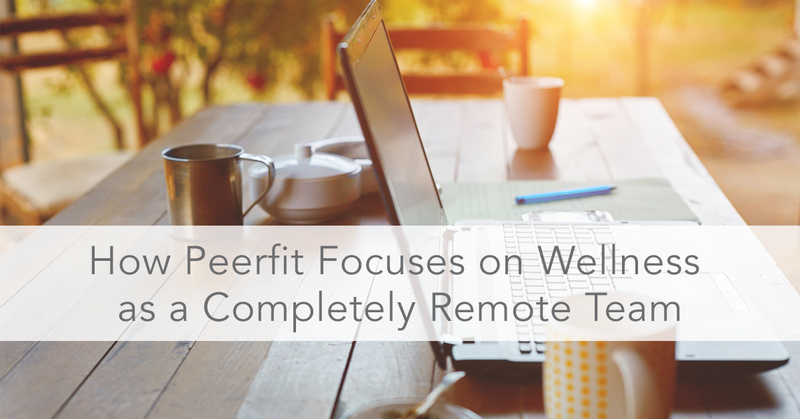 At Peerfit, our team consists entirely of employees that work remotely. While we’re still learning a lot, one thing we’re pretty confident in is our ability to provide our team with an environment that helps promote their health, happiness, and well-being. Here’s a look at how we focus on wellness as a completely remote team. Need a day? Take a day. Sometimes you just need a break… and we get it. That’s why our flexible time-off policy enables employees to be in control of their own wellbeing by deciding when they need a break. 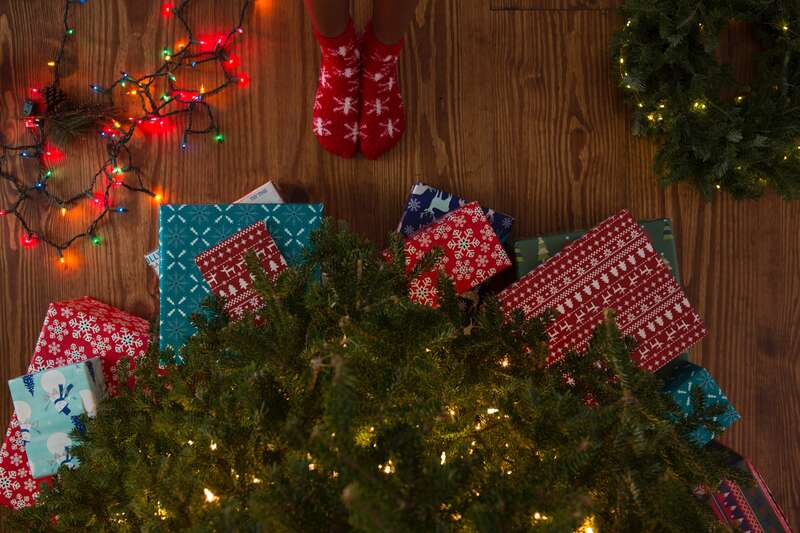 If things have been a little too stressful and employees need a day off, they can take one, whether it be for professional or personal reasons. Of course, they seek approval from their director, but our culture of trust and an autonomous work environment make it easy. We know our employees work hard and a day off is always well-earned. The power to choose your fitness. One of the perks of working at Peerfit is that employees receive Peerfit credits as an employee benefit. Peerfit, a digital platform that partners with fitness studios around the country, enables employees to take fitness classes like yoga, boot camp, cycle, and more, wherever and whenever they choose. The large variety of studio options makes it easy for employees to find a routine that works for them, keeping them wanting to return over and over. Plus, having Peerfit credits as a company benefit allows employees to easily take classes together. When you see anybody from the Peerfit team briskly walking with an intense focus, you can bet they’re probably in the middle of a serious conference call. Successful habits start at the top and trickle down; that’s why it’s helpful that Peerfit’s CEO, Ed Buckley, PhD, is the king of averaging 18,000 steps a day, with his highest reaching 40,000 steps. Whenever scheduled for a phone meeting, he grabs his wireless headset, laces his sneakers, and heads outside. And he relentlessly encourages Peerfit’s employees to do the same. We’ve even been known to get our steps in by pacing around kitchens and living rooms while finishing business. "We were built to be active, not sitting in a cubicle all day. For me, walking while I do all my calls helps keep me energized, focused, and as prepared as I can be to do 10+ phone meetings a day. When I have been walking for calls, and sit for one, I immediately feel my energy get zapped." Stand up for your life. What do Peerfit employees do when not walking through meetings? You’ll find us working while standing at countertops and homemade standing desks, but rarely will you find us sitting. Studies show that sitting for extended periods of time can be detrimental to one’s health. Standing has many benefits like lowering the risk of heart disease, improving energy levels, boosting productivity, and even increasing life expectancy. When it comes to our wellness efforts at Peerfit, most of them involve being active which has positively impacted the well-being of our employees. Many employees across America are used to a sedentary lifestyle and it’s time we change that. By making room for our employees to incorporate activity into their remote-work lives, not only have we made wellness work for them, but we’ve encouraged them to make wellness work for themselves. How do you inspire your employees to be well?